Dentist Brookhaven: How Often Should I See the Dentist? You should see your dentist for regular cleanings and check-ups at least every six months. There are those who are at greater risk for oral diseases and other related health issues that should have dental cleanings and check-ups more than twice a year, such as, diabetes, periodontal (gum) disease, possible heart disease, pregnancies and in rare instances alcohol and tobacco users. Poor oral hygiene and certain medical conditions are some of the many factors that your dentist takes into consideration when deciding how often you need your dental cleaning and check-ups. One of the real problems that has invaded oral healthcare are the restrictions placed on insurance coverage by insurers. You need to understand that insurance companies serve a self-interest in reducing the number to times you visit your dentist. Try not to let your insurance coverage be your benchmark for your healthcare. We all drink bottled water. But, according to the ADA the majority of bottled water does not contain optimal levels of fluoride to protect your teeth against harmful bacteria. And if left unchecked, the resulting bacteria can penetrate dissolved surfaces, attack the underlying dentin, and reach the soft pulp tissue, causing of course tooth decay. 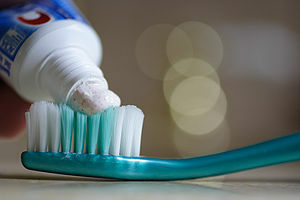 Drinking fluoridated water, brushing with fluoride toothpaste, or using other fluoride dental products can effectively and inexpensively raise the concentration of fluoride in the saliva present in your mouth 100- to 1,000-fold. Regular checkups are critical to your oral health. Dental implants are stronger and more durable than their restorative counterparts such as bridges, partials and dentures. And from an esthetic standpoint, they look and feel more natural, some of which is due to the progress made in their biocompatible development. Implants offer the patient a permanent solution to tooth and continued bone loss. 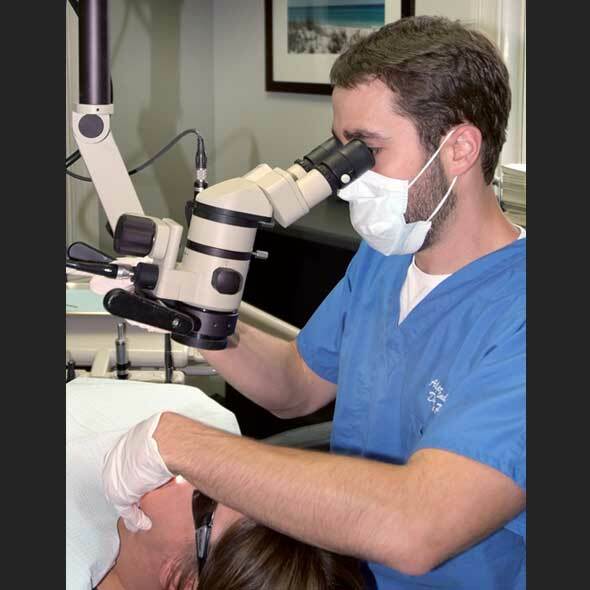 Our offices in Chamblee and Sandy Springs perform implant placement and restoration in-house. We are here to serve you. Please don’t hesitate to contact us if you have an urgent need. We recognize that emergency situations may occur and we will do everything in our power to respond to you as quickly as possible. If an emergency arises during normal office hours, please call our Chamblee or Sandy Springs, GA dental offices as early in the day as possible. We reserve special times for patients with emergency needs and you will be seen as quickly as possible. If an emergency arises while the office is closed, please feel free to contact Hanna Orland, ZoAnna Scheinfeld or Novy Scheinfeld by utilizing the contact numbers provided in our voice mail system. Brookhaven Dentists: Myth #1: Root Canals Painful, Wrong! This article was contributed to the Right Smile Center by Dr. Justin M. Parente of Alpharetta Endodontics. Sure, regular cleanings with our office promotes good oral hygiene, but did you know these visits also screen for a multitude of diseases? Getting your teeth cleaned and having your doctor’s exam may not rank up there with an afternoon on the course or ditching work to enjoy a matinee, but it may be well worth it for your overall health. Here are 4 really great reasons to see your dentist for your regularly scheduled cleanings. Your overall health. Studies have linked heart attacks, diabetes detection and strokes to gum disease associated with poor oral hygiene. A trip to our office at least every 6 months and in some cases more often, could reduce your risk of other serious health issues. So you haven’t been keeping up with what current research has to say about caring for your teeth. That’s why check-ups allow your dentist to examine your mouth and keep you on the right path. If it’s been more than 6 months since your last check up and cleaning, call your dentist to schedule an appointment today. If we can be of any help or answer any questions please feel free to drop us a line.